Thanks to a thrilling 5-0 win over Peterborough United Middlesbrough set up a meeting with Newport City in the FA Cup round. Middlesbrough aim to secure promotion to the Premier League, but they want to go all the way in the FA Cup as well. The Boro recorded five wins in previous seven home games in the prestigious competition and they are considered hot favourites to emerge triumphant in Saturday’s football match. The League Two side, on the other hand, desperately needed a win against Exeter at the weekend and they managed to get one. 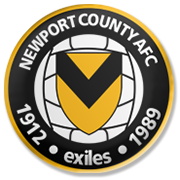 Newport City put an end to their six-game winless run in the league, but they will have a much bigger fish to fry in the clash against Middlesbrough, who impressed in the triumph over Peterborough in round 3. It has to be noted that the two teams have never met before in a competitive match.